Opera Atelier’s current production of Lully’s Armide is a heart-wrenching work of passion, perfection, beauty, and theatre in its highest form. The show is an “Armide fit for Versailles,” as the Toronto Star’s rave review stated earlier this week. Opera Atelier is indeed heading back to the Palace of Versailles to perform a run of Armide immediately following the Toronto shows this week at The Elgin Theatre. What an incredible representation of Toronto on the world stage! Get your tickets while you still can HERE. Armide Synopsis: The action concerns the Muslim Warrior Princess Armide and the Christian Knight Renaud. Although a virgin, Armide’s greatest power lies in her sexual allure, which reduces men to a state of hopeless submission. Armide herself is protected by the fact that she herself has never experienced desire. Renaud also draws his strength from an almost mystic virginity which renders him impervious to Armide’s allure. Virtuoso violinist Edwin Huizinga is breathing fresh air into the Toronto chapter of Classical Revolution with his Dark Horse Concert Series this month. 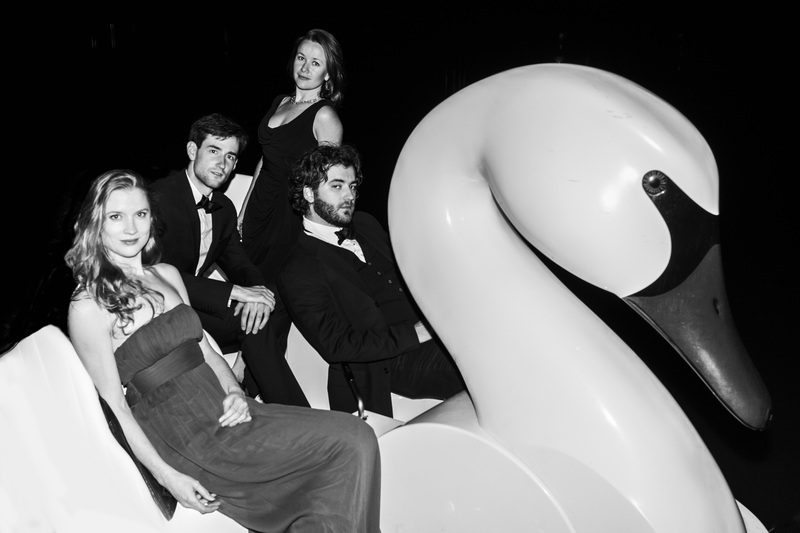 Edwin is one of the original founders of the Classical Revolution project, which is dedicated to bringing the highest level of chamber music to non-traditional settings. As two of the four concerts in the Dark Horse Series are behind us I would encourage you to attend the remaining two. 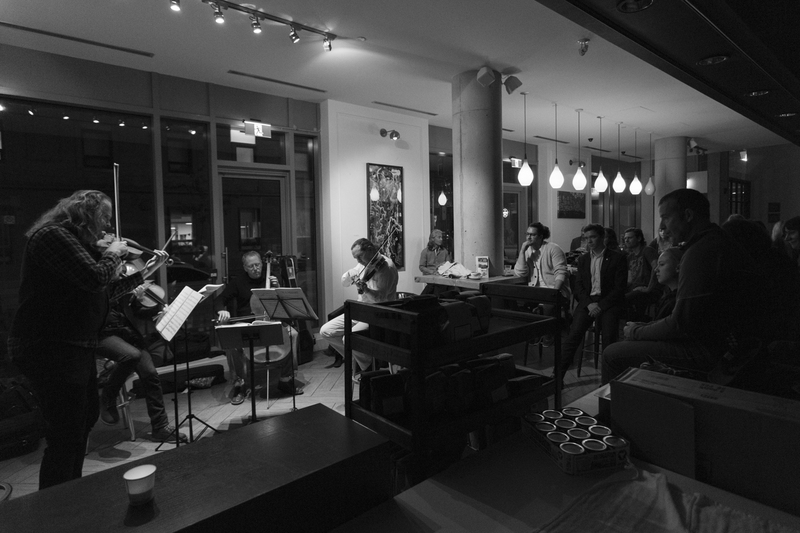 Over an expert espresso, a cold beer, or a glass of full-bodied red wine the audience can dissolve into a relaxed evening of music by some of Toronto’s most skilled musicians for free! Upcoming shows include October 28th at the Spadina location and October 29th at the Geary Avenue location. Both shows begin at 8PM. 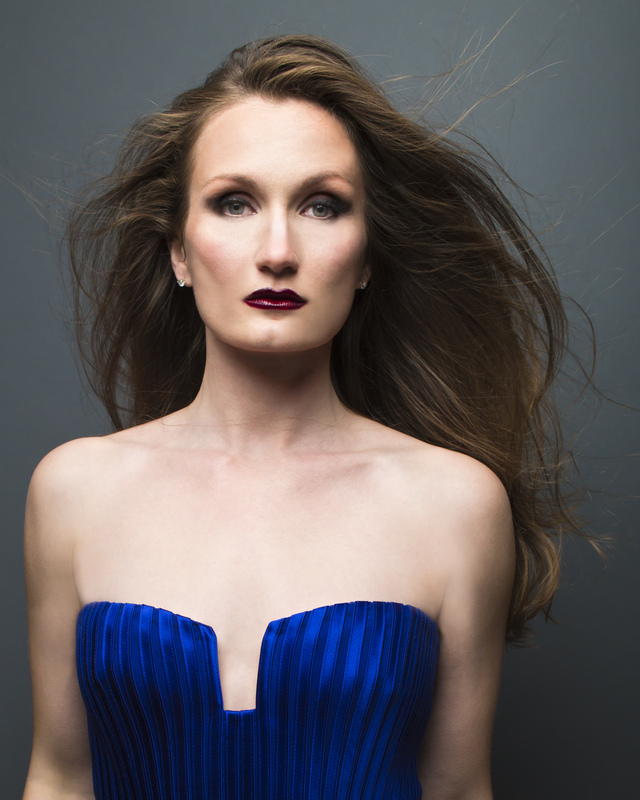 On deck are the entire cast of opera singers starring in Opera Atelier’s current production of Armide. Find out for details HERE. Shot at The Clint Roenisch Gallery in Toronto.